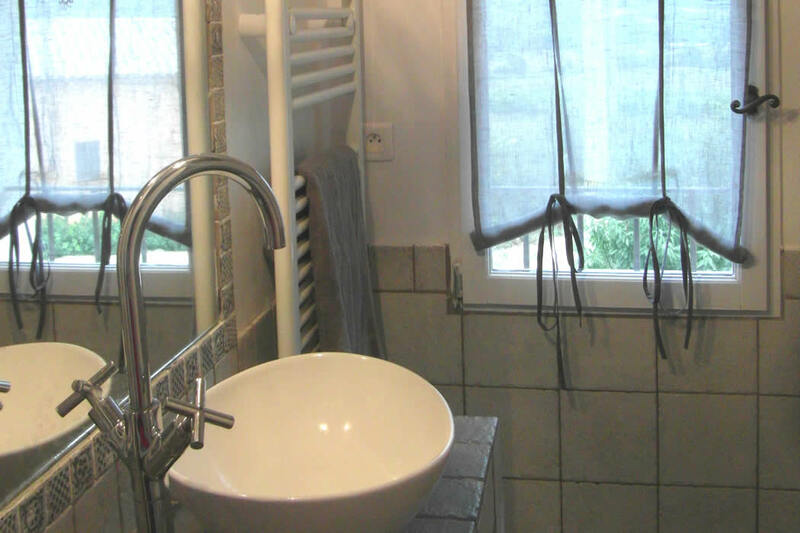 Charming one bedroom cottage with private swimming pool Gargas. 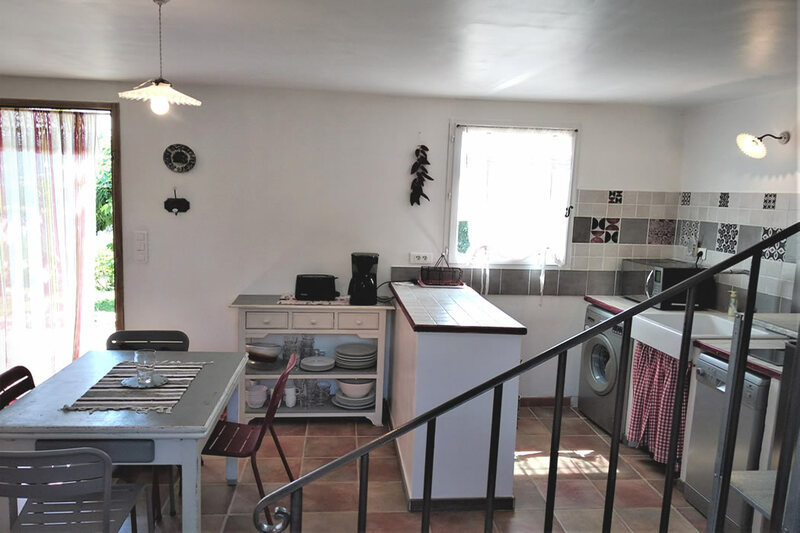 Le Petit Mas is a delightful provencal cottage located in the countryside near the village of Gargas at the eastern end of the Luberon Valley, an area of outstanding natural beauty in southern Provence. 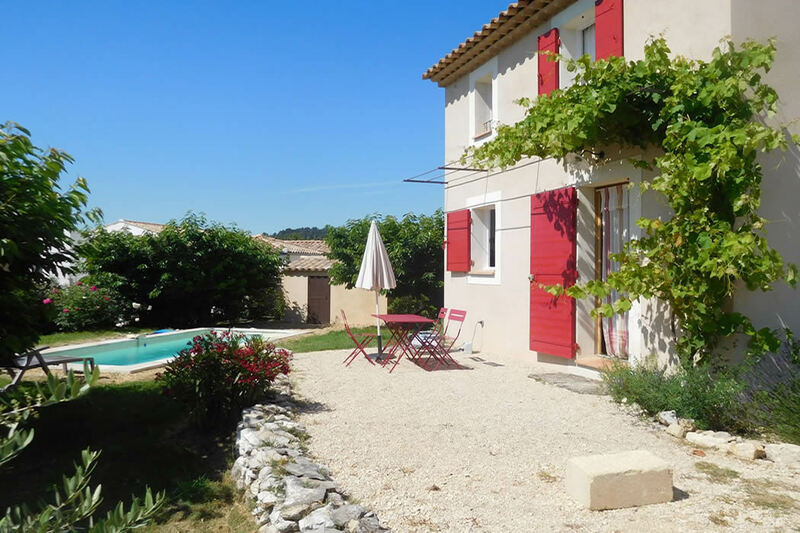 The cottage is in a quiet location in the countryside with lovely views of the Luberon and Vaucluse hills and just a short drive from the village of Gargas with all amenities. The village has a good boulangerie, grocery shop, newsagent and pharmacy as well as a pizza restaurant. 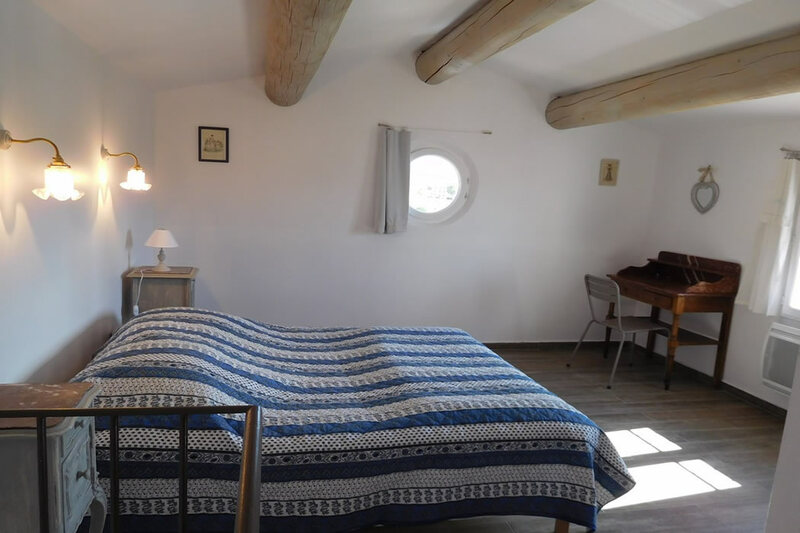 Well placed for exploring the Luberon valley and its delightful perched villages, this recently built cottage is a comfortable base for your holiday. 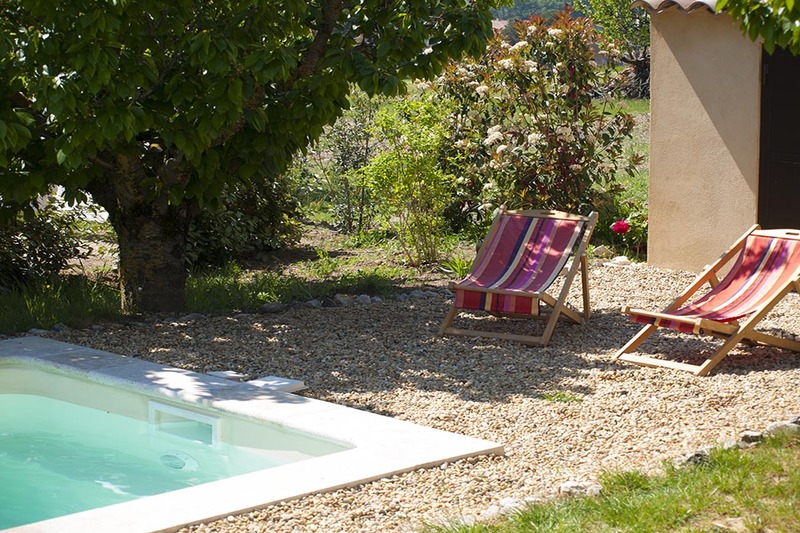 Le Petit Mas is a two storey house modeled on a traditional cabanon with light and sunny rooms. 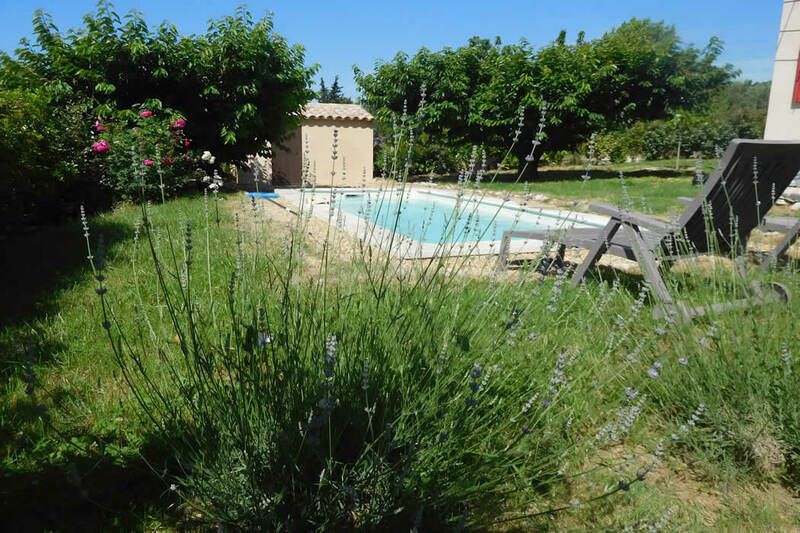 Just recently built and decorated in a charming provencal style, the cottage has a small garden with terrace and private pool overlooking the countryside and nearby cherry orchards. 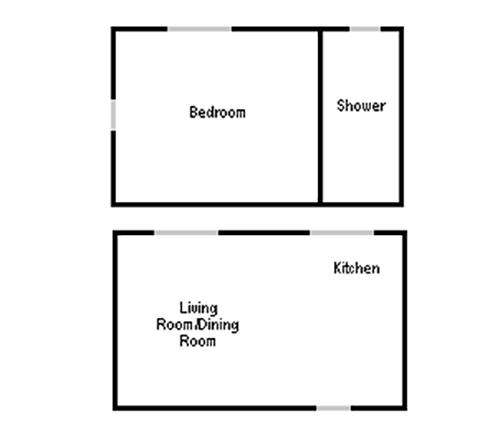 The house has one double bedroom comfortably sleeping 2 people and with lovely views across the countryside. There is a separate shower room with WC. Downstairs, the pretty living/dining room overlooks the garden and pool and opens out directly onto the terrace. A television is provided for entertainment. The house also has a wifi internet connection. 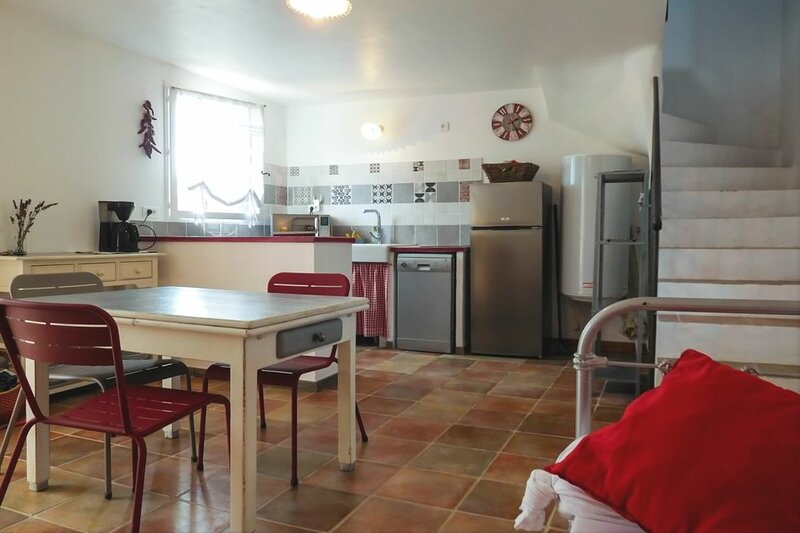 The well equipped kitchen has a dishwasher, fridge freezer, hob and oven/microwave. There is also a washing machine. The cottage is prettily furnished and light and airy. The house is south facing with a terrace for outdoor eating and overlooking the garden and swimming pool and a small sunbathing area. Sun loungers and a parasol are provided for shade. There is private parking. Bed linen and towels are provided and also a cleaner for the end of your stay. Please bring your own pool towels. 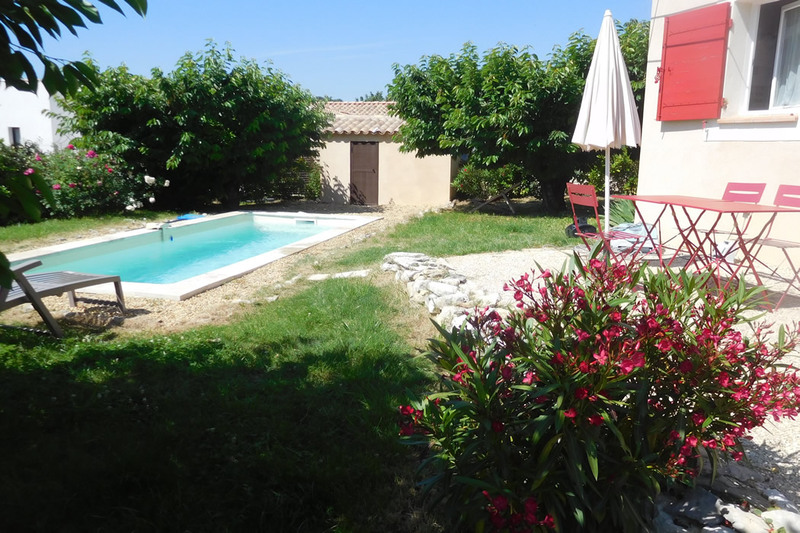 Le Petit Mas is a comfortable little cottage, a charming pied á terre, in a quiet countryside location with a lovely private pool for a relaxing holiday, but also very well located for exploring the Luberon area and further afield. The rent includes all services. *There is a charge for heating from November to April according to consumption. We ask for half the rent at the time of booking and the balance six weeks before the start of your holiday. If booking is within 6 weeks of arrival we require full payment at the time of booking. A returnable damages deposit of £300 is also payable at time of final payment. This is refunded after your departure once the house has been checked. All telephone charges, breakage's, etc. will be made against the deposit and the balance returned to you. Bookings are from Saturday to Saturday. In order to have time to check the house, change beds, clean the pool and tidy the garden etc. we ask guests to arrive between 4 p.m. and 6 p.m. and to leave at 10.00 a.m. on the day of departure. 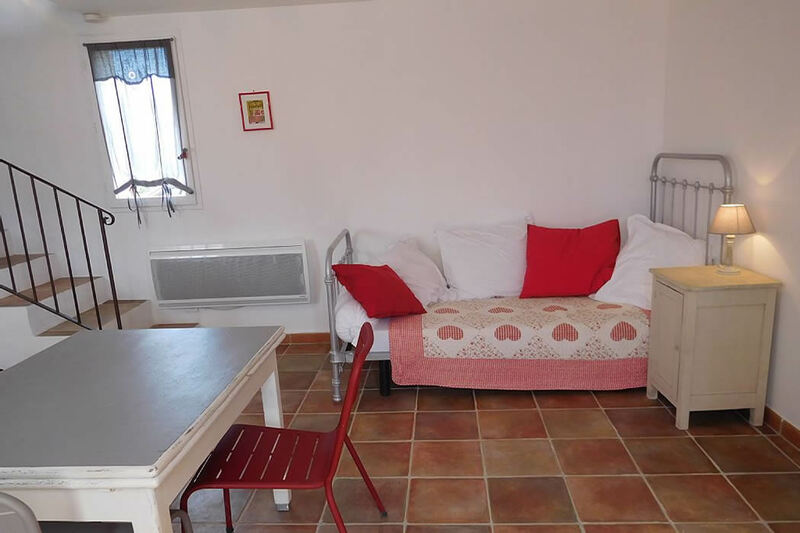 In case of cancellation, the reservation deposit will be retained unless we can re-let or the whole payment if six weeks or less before the start of your intended stay. If we can re-let our additional expenditure, including advertising, will be deducted and the rest returned to you. We would therefore strongly advise you to take out holiday insurance which covers cancellation. This is widely available, for example from price comparison sites, airlines, ferry companies, and the AA.